Alex Rosaria is from Curaçao. He has a MBA from University of Iowa. He was Member of Parliament, Minister of Economic Affairs, State Secretary of Finance and United Nations Development Programme Officer in Africa and Central America. He is an independent consultant active in Asia and the Pacific. E proposishon di minister Plasterk di Ulanda tokante un areglo di disputa den Reino Ulandes ta inakseptabel. Esaki pasombra e minister ta kombensí ku ora tin un disputa entre Reino i sea Kòrsou, Aruba o Sint Maarten, ta un organisashon no-independiente i ligá na e gobièrnu di Ulanda ta disidí ken tin rason si o no. I lokual ta mas inkreibel ta ku Den Haag ta liber pa rechasá e desishon. Esaki aparentemente Den Haag ta konsiderá komo demokrasia i bon gobernashon. Willemstad, Oranjestad i Philipsburg mester manda un mensahe bon kla pa e Ulandesnan: no ta akseptá e proposishon di minister Plasterk. E ta un insulto pasombra e ta kontra di tur prinsipio di demokrasia i estado di derechi. Ta opvio ku e proposishon di minister Plasterk ta ekivalente na un karnisero ku ta disidí e mes si su karni ta bon i no mester di un inspektor independiente pa hasi esaki. Na mi manera di mira e aktitut arogante aki ta basá riba un grandesa kolonial di pasado ku Den Haag tin masha problema pa laga lòs. Durante di e último 4 añanan ami semper a lucha pa un un areglo di disputa ku ta independiente i ku no tin ni sikiera e sombra di ta dependiente. Tambe a lucha pa e desishonnan di e outoridat di disputa den Reino ta final. Nada ku Ulanda ta liber pa akseptá nan si o no. Ta esaki finalmente e 4 parlamentonan den Reino a para p’e. Ta inkomprendibel pues ku awe ta pone e parlamentonan un banda i ta manda un proposishon ku no ta tuma e puntonan di salida di e 4 parlamentonan na kuenta. Pa kolmo ta manda e proposishon aki Raad van State (RvS) pa konseho mientras ku minister Plasterk su intenshon ta pa e mesun RvS disidí ora tin un disputa. Promé ku e proposishon aki a bai RvC, su vise Presidente a sali públikamente na fabor di e organisashon aki pa resolvé disputa den Reino. Segun e vise Predisdente tin dos departamentu den RvS ku ta independiente di otro i ta p’esei RvS ta independiente. Bèrdat e dos departamentonan ta independiente di otro, pero e organisashon RvS no ta independiente. Na di promé lugá nos no mester lubidá ku e Presidente di RvS ta Rei Willem Alexander ku tambe ta na kabes di Reino Ulandes. Kòrda ku ta trata aki di disputanan entre di Reino i Willemstad, Oranjestad o Philipsburg. Na di dos lugá, durante di e último siglo delaster un vise Presidente di RvS ta un èks polítiko di Ulanda. RvS ta prinsipalmente un órgano di konseho pa Den Haag i en bista di lokual mi a bisa anteriormente, RvS no ta independiente o a lo ménos no ta sin un sombra di dependensia di ‘politiek Den Haag’. Today a very peculiar presidential inauguration took place. The President of the West African nation of The Gambia, Mr. Adama Barrow, after winning the election on 1 December 2016, was sworn in not in The Gambia but in the neighboring Sénégal. That was the first step of Mr. Barrow to take the reins of government of the smallest country on the mainland of the African continent. Now all he has to do is to go back to his country, accompanied by the Sénégal army and protected by Nigerian gunboats and aircraft to be installed as President. The thing is that Mr. Yahya Jammeh who lost the presidential election and should have stepped down today now claims that “God had made him President and that only God can remove him from this post” after he had conceded defeat at first. This is however not the first time that Mr. Jammeh has claimed to have a special celestial relationship. In 1997 he told the world that he can perform miracles and cure Aids at will. Mr. Jammeh came to power in a 1994 military coup that ousted Mr. Dawda Jawara who by then had been in power for 30 years. Mr. Barrow can count on the support of the Security Council of the United Nations, most of the African countries and especially the Economic Community of West African States (ECOWAS) that has so far shown more determination than other regional organization to enforce democratic norms on the continent. Will Mr. Jammeh blink and leave office after all? Will the ECOWAS troops invade The Gambia and oust Mr. Jammeh? Whatever happens over the next hours and days, Mr. Barrow will be installed in Banjul, The Gambian capital. Most of Africa is not going to let anyone undermine the efforts to consolidate democracy and good governance in Africa in general. I am confident that African leaders are not going to protect autocratic despots anymore. I hope that the world is watching the wind of change blowing. I lived and did voluntary work in 1989 in Barra Kunda, The Gambia. Congratulations! The Curaçao Corps Consulaire has a new board consisting of Dean Mr. Karel Frielink (Honorary Consul of Germany) and members Ms. Margaret Hawthorne (Honorary Consul of the USA), Mr. Ivan Moreno jr. (Honorary Consul of Belgium), Mr. Paul van de Laarschot (Honorary Consul of Hungary) and Mr. Paul Pradin (Honorary Consul of France). According to the latest press release of the Curaçao Corps Consulaire, 33 countries are currently accredited via a (honorary) consulate or mission on our island. This figure may not impress many people as there are 195 recognized countries in the world. But it quickly becomes daunting when we realize that the official 33 accredited missions in Curaçao represent about half of the world population, 3,500 million souls. This is something that we should definitively not underestimate. Dean Karel Frielink gave a good and strong introductory statement in which he emphasized the importance of our Foreign Office in Willemstad to be equipped with the necessary manpower to do the job. I would have added to this phrase: “highly qualified manpower”. We cannot afford to repeat the diplomatic blunders since 2010. First and foremost, we need people who have what it takes to give (political) guidance to foreign affairs. In my view, the importance of foreign relations lies is good cooperation among countries in order to have a safer, a more prosper world and to be good world citizens. And to achieve these, there is an important and active role to be played by the Curaçao Corps Consulaire. When I was member of the UN diplomatic corps, we had regular meetings with other foreign missions as well as representatives of local Governments. The latter is clearly not the case in Curacao. This needs to change. In my view the Curaçao Corps Consulaire needs to engage some of these areas in the coming period. Diplomacy as a tool for good good governance, human rights, inclusion, climate change, more economic opportunities and amplifying of our own foreign networks. Foreign relations have changed in ways our forefathers have never anticipated in 1954. We must be bold in order to rack up the gains from the new opportunities out there. Let’s do it together. The Dutch have a saying that perfectly makes the case for an independent settling of grievances between parties: “The butcher cannot approve his own meat”.Yet the Dutch, normally highly in favor of democratic principles and the rule of law everywhere else in the world, are dragging their feet to accept a dispute resolution mechanism (DRM) in their own neck of the woods, the Kingdom of The Netherlands (the Kingdom). The DRM is not a luxury or frivolity, but a cornerstone of democracy. Disputes are about broken promises. Without a means of settling disputes, there is no way to enforce the rules of the game, in this case the authorities of the self-government of Curaçao and those of the Kingdom. Without it the powerful will have no incentive to abide by the agreed promises and will always impose their will unilaterally. This is why the government of Curaçao should continue its fight for a DRM even if The Hague is not interested in good governance. The raison d’être of a DRM is good governance. It’s about the importance that all partners within the Kingdom should attach to complying with their obligations. It’s also about mitigating imbalances between the stronger and weaker Kingdom partners by having the possibility of a rules-based dispute settlement rather than having power determine the outcome. And this is what the politicians in The Hague fail to see over and over again. The Dutch politicians during the period I was Member of Parliament of Curaçao, never shied away from reminding everyone that the population of The Netherlands is 17 million compared to less than the 300,000 of Aruba, Curaçao and Sint Maarten. There is no question that they are right about the numbers but do they realize that they are implying that somehow the less powerful should not be able to question the more powerful if they believe rules have been violated? If that were the case, why did The Netherlands fight for a World Trade Organization (WTO) rules-based and independent dispute settlement system? It could have easily agreed to have all disputes settled by the big boys of trade. And by all means, in that world The Netherlands is only a toddler. Fact is that The Hague does not want a DRM. Using the size argument illustrates lack of seriousness and probably adherence to some yesteryear colonial grandeur. And should there ever be a DRM, this must, according to these politicians, be in the hands of an institution linked to the government of The Netherlands. Adding insult to injury, they feel that the decisions reached by this inherently partisan institution should not be binding either; the final decision is always with the Government in The Hague. A dispute resolution mechanism in countries with the same status as Curaçao, is not unknown. An example is the dispute resolution mechanism of the Kingdom of Denmark. Article 6 of the Act on Greenland Self-Government makes it possible when doubts arise between the Greenland Self-Government authorities and the central authorities in Denmark concerning the Self-Government authorities’ responsibility in relation to the central authorities in Denmark, for an independent board to settle these. Whether Curaçao disputes it or not, it is The Hague that unilaterally decides if a decision is in accordance or not with the relevant rules. There is no way Curaçao can take recourse to any dispute settlement process. This is a blatant abuse of power and lack of respect for the rule of law. Below I make the case – not an exhaustive list by any means – for an independent and binding DRM. Independent and binding.The DRM should be independent beyond a shadow of doubt. Independence is necessary in order to dispel any direct or indirect undue influence or even a reasonably believed possibility of undue (political) influence in the dispute trajectory. The government in The Hague has however been insisting that the dispute settlement should be in the hands of the Council of State which is an advisory body for both the governments of The Netherlands and the Kingdom. According to this proposal, the Council of State could very well be advising (since The Hague does not want any binding decisions) on a dispute between partners of the Kingdom that has arisen based on a decision that came into being after the same Council of State had previously agreed with. The President of the Council of State is also the reigning monarch of the Kingdom. Not exactly trias polica. And during the last century, every single vice-president of this council was a (ex) politician of The Netherlands. The Council of State is by no means independent. I am arguing for the creation of a Dispute Resolution Court (the Court) since there is no single existing independent institution that can settle disputes in a binding manner. Each partner of the Kingdom should nominate an equal amount of representatives to the Court. There should be high education, experience and integrity standards for these representatives. The President of this court must be a member of the Supreme Court. Binding. Decisions pertaining to dispute settlement of the Court should be binding and cannot be influenced or (partially) changed by either of the disputing parties’ governments. No meddling and no ‘final word’ should be in hands of governments. If not, arbitrariness, not predictability will reign. Predictability. A central objective of the Court is to provide predictability. This means that all partners in the Kingdom must have the insurance that what they consider to be a broken promise by the other is looked at independently, that agreements get enforced and that disputes are settled in accordance with the rules-based principals. The Court should be bound by its own precedents and decisions. This is necessary to safeguard against any kind of arbitrariness and subjectivity (depending on who happens to be in government). Predictability also strengthens the understanding and interpretation of existing rules. Scope. The Court should be in the first place limited to disputes related to the autonomous authorities belonging to the governments of Curaçao, Aruba or Sint Maarten and the governments in The Hague. A dispute in this case concerns either the interpretation or application of the above-mentioned authorities. All disputes so far have been between the Kingdom government and either Curaçao, Aruba or Sint Maarten. It is however not inconceivable that disputes may arise between the individual partners (for example Curaçao v. Sint Maarten; The Netherlands v. Aruba or Sint Maarten and Aruba v. Curaçao). For that reason I believe that the Court should (maybe in a second and later phase) also settle any dispute that falls within the above-mentioned scope that could arise between two or more Kingdom partners. Consultation. Every effort should be made to avoid a case be brought to the Court. The first stage in a dispute must be a consultation process. The Kingdom partner(s) who feel(s) aggrieved by the action or omission of the other(s) should request the latter to have consultations. The consultation process i.e. how the request for consultation should be done, how many days the Kingdom partner to whom the request for consultation is addressed, has to respond, etc., should be clearly described. And finally, it is never safe to eat any meat that has not been independently checked. It should be clear that there can be no rule of law if the party that feels aggrieved by the actions or omissions of another cannot challenge these actions or omissions. The fact that the politicians in The Hague do not believe in the rule of law and good governance should not stop us from pursuing a DRM. Lucina Elena da Costa Gomez née Matheeuws, Shon Lou manera mi tabata yam’é, lo keda elogiá e dianan aki pa prinsipalmente su lucha pa emansipashon di hende muhé i e echo ku e tabata e promé hende muhé minister-Presidènt den Reino Ulandes. Ami lo hasi esaki di un otro manera, unu un poko mas personal. Mi a siña konosé Shon Lou na 2006, algun siman promé ku e promé elekshon na kua mi a partisipá. Mi a keda invitá pa su kompañero di bida, Sr. Juancho Evertsz (dfm), ku kier a sera konosí ku mi i pa bisami ku pa di promé biaha for di dia ku e a retirá for di polítika e lo bai vota i lo vota pa mi. Di e promé enkuentro ei, mi amistat ku Shon Lou a krese i nos a gana otro su konfiansa. Komo Presidente Honorario di Fundashon mr. dr. Moises Frumencio da Costa Gomez, Shon Lou a rekomendá pa mi bira Presidente di e Fundashon. Lokual e a pidi mi despues komo Presidente ta pa e papia personalmente ku kada posibel miembro nobo pa e direktiva di e Fundashon. I ta esaki mi a siña i apresiá di e persona Shon Lou; e importansha ku semper e a duna na e kontakto personal. Ora e no por a haña mi na telefòn e no tabata laga mensahe digital atras, pero mi tabata risibí su notanan skibí na man ku un ‘heading’ konteniendo su nòmber, adrès i number di telefòn. Mi tin tur wardá. Semper e a duna hopi atenshon pa papia i komuniká ku hende. Ta p’esei no por ta un sorpresa ku su úniko remetido ku e a yega di skibi manera e a bisa mi, ta ora dos korant na Papiamentu di atardi a akus’é di ta menospresiá e pueblo dor di eksihí ku hende mester a traha un sita via di telefòn i no por kana drenta asina asina den su ofisina eksihiendo un kombersashon. Aparentemente e korantnan tabata haña ku ta un eskándalo ku pueblo mester traha un sita promé ku papia ku un polítiko. Den su remetido den e korant Amigoe di Curaçao di 29 novèmber 1974 titulá Miho Rabia ku Duele e a pone bon kla ku “Lucina no ta tende hende, hari cu nan, haci bunita, sin haci nada pa nan.” Den e remetido aki e a dal e dirigentenan di Partido Demokrat duru akusando nan di a bai skondi den eksterior i no dediká atenshon at all pa pueblo. Na vários okashon Shon Lou a menshoná mi e historia aki ku opviamente a sigui molesti’é pa hopi tempu. Un di e historia ku mas mi a gosa sinembargo ta tokante di un grupo di hende ku a bin bishit’é na su ofisina un mèrdia pa papia di un problema personal. Tabata den temporada di kampaña elektoral. Dos òf ta tres hende a drenta su ofisina ku awa na wowo. E problema nan a splika tabata un miembro di famia ku a muri i ku nan no tabatin sufisiente plaka pa der’é. Despues di a skucha hinter e splikashon di nan pèrtá, Shon Lou a bai di akuerdo pa duna un kantidat di plaka pa e hendenan aki por a kumpli ku nan defuntu. Su siguiente dia Shon Lou a pidi dos hende di konfiansa pa kumpra un krans i hiba esaki pa e famia en kuestion. Awèl, Shon Lou ta konta, e hendenan aki a kore, kore den bario pa mas ku un ora ta puntra unda nan por haña famia tal ku a pèrdè su ser kerí. Despues ku un bon alma a logra identifiká unda e famia ku nan tabata buska ta biba, e dos hendenan a yega na e kas en kuestion. Solamente ku na e kas no tabatin esfera di entiero, sino un fiesta animá ku amplifaier. Disgustá e dos hendenan a bai bèk e siguiente dia serka Shon Lou i a konta kiko a pasa konsehando pa desenmaskará e hendenan aki i pone nan paga e plaka bèk. Shon Lou, ku un enorme sonrisa riba su kara a sigi kontami ku e a bisa nan ku un trankilidat ku solamente bo por tin basá riba eksperiensha di bida i politika: “Sea ku nan a usa e plaka pa entiero o pa fiesta, bosnan no ta kere ku nan lo vota pa nos partido? Si nos bai konfrontá nan, nos lo pèrdè plaka i pèrdè e voto. Pues laga nos hasi manera nos no sa kiko a pasa”. Shon Lou tabata un konsehero, pero mas ku tur kos e tabata un amiga. Sosega na pas Shon Lou. The oath of office as prescribed in the Constitution of Curaçao requires Members of Parliament and Government to: “..pledge to maintain the Constitution of Curaçao”. Yet, the same Constitution does not have any legal means to guarantee the supremacy of the Constitution and constitutional legality of (proposed) legal acts in the country. In other words, the very people who should safeguard our constitution can breach it by accepting or enacting a legal act without an independent institution being able to determine its constitutionality. This does not make any sense. It makes a mockery of the oath of office and the Constitution. Further, it is arbitrary, antidemocratic and it compromises the very stability of the Constitution itself. As we have seen the new drama unfold in the Parliament of Curaçao, it has become painfully clear that we cannot and should not continue on this path. In this article I make the case for a Constitutional Court and judicial review, meaning the review of Constitutional validity of a legal act. The plight for judicial review is not new. Curaçao‘s Statesman, dr. Moises Frumencio da Costa Gomez made his case in 1946 (Curaçao in het Koninkrijk, p.123) for Curaçao to depart from the Dutch Constitution (which still prohibits judicial review) by making it possible for Curaçao to review laws and legislation, making sure they abide by the Constitution. He did not go as far as calling for a Constitutional Court, but felt that this review could be handled by the ‘normal’ Appellate Court. I have been calling for a Constitutional Court since 2010. 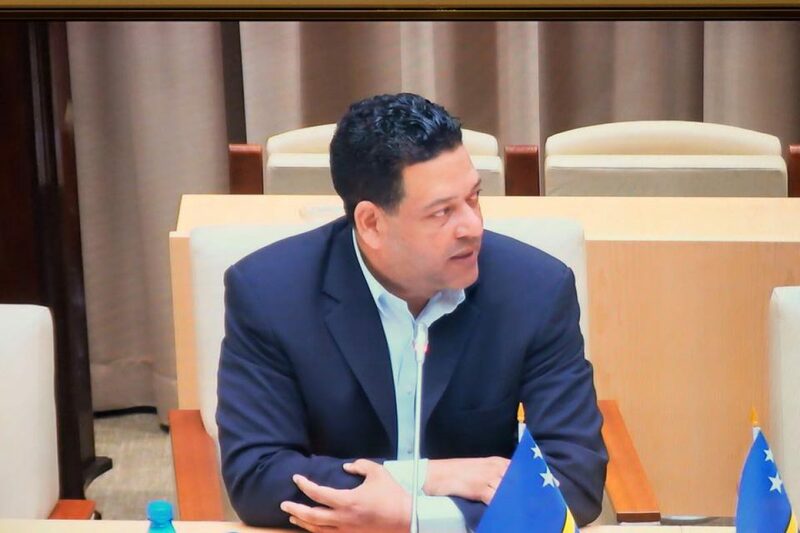 During my tenure as Member of Parliament (2012-2016), I worked arduously on this matter and even made my case with the President of the Joint Court of Justice of Aruba, Curacao, Sint Maarten, Bonaire, Sint Eustatius and Saba who was very enthusiastic as long as it became part of the Joint Court of Justice. Finally, a draft legislation was presented to the Parliaments of Aruba, Curaçao and Sint Maarten to make the necessary constitutional changes in order to make a Constitutional Court a reality. A Constitutional Court, but how and what? This is my take on things. This is by no means an exhaustive list. The case for a joint Constitutional Court is overwhelming considering our small scale, lack of financial resources and qualified personnel. On top of that, I agree with (the now former) President of the Joint Court, that the Constitutional Court should be part of the already established and highly respected Joint Court of Justice. There are, according to my knowledge, no legal impediments for going solo, but I do not see any real advantages in doing so. The way we have dealt in Curaçao with constitutional crises and multi-interpretations of the Constitution so far is based on the arguments of politicians – usually lacking even a rudimentary knowledge of constitutional matters – popular talk shows, and ‘expert opinions’ by various people with their own political agenda. Evidently this does not constitute the basis for constitutional review. On the contrary, it threatens the integrity of the Constitution and causes unnecessary drama. The main raison d’etre of the Constitutional Court should be to decide on only constitutional matters and issues connected with constitutional matters. In principle the Constitutional Court should be limited to rule whether a certain legal act is in conflict or not with the Constitution. Notwithstanding the foregoing, I also want to make the case for the Constitutional Court, under certain very limited circumstances, to clarify, interpret or reinterpret certain official constitutional provisions when there is a real necessity to improve the protection of the constitutional values and control mechanisms enshrined in the Constitution. A legal act that has been ruled by the Constitutional Court to be unconstitutional may not be applied from the day the ruling becomes publicly known and should be permanently revoked and or removed from the our legal system. An unconstitutional legal act cannot be replaced by a different but equivalent act. I do not believe in retroactive effect of decisions made by the Constitutional Court, even if such possibilities exist in some countries. The final decisions and or interpretations of the Constitutional Court are binding on all courts, institutions, organizations, officials as well as on citizens. When implementing the rulings of the Constitutional Court by which certain legal acts have been ruled to be in conflict with the Constitution, these acts should be either repealed or adapted, establishing a new regulation that is in accordance with the Constitution. In both cases it is necessary for the Government and the Parliament to be given enough space to make the above–mentioned changes. The Constitutional Court should be bound by its own precedents and decisions in order to be consistent and ensure the continuity of constitutional jurisprudence. The importance lies in the fact that at all cost arbitrariness and subjectivity depending on the composition of Government, Parliament and even of the Constitutional Court itself could taint the constitutional doctrine. Finally, the Constitution embodies a system of core values that guarantee the protection of the rights and freedoms of each and every person. We should therefore make sure that the Constitution is upheld as an integral and harmonious system. It is way too easy in our system of parliamentary democracy for Members of Parliament to think that somehow they are almighty and do not – notwithstanding the oath of office – have to bother with the Constitution. In any case, easily they can find or pay someone to interpret the Constitution as they want it to be. I guess that is why I am for a constitutional democracy. But for now, let us make sure that we get a Constitutional Court without further ado. A first version has been drafted and should be picked up by the new Members of Parliament as soon as possible. There are times when one single story makes us understand how much of this world is evil. This is an account about how a whole population was forced to go live 1,600 km away, while their island was turned into a secret military base. This is the story about how these people’s dogs were killed and were threatened with the same fate if they did not abandon their island. At this point you may be thinking that this article is about some ghastly dictator like Pol Pot or Idi Amin. Think again. This heinous crime was committed by Britain and the U.S.. Neither did it happen in the dark days of colonialism, but in 1971. The victims are the people of the island Diego Garcia. If you haven’t heard of them, it is not surprising. Diego Garcia is on nobody’s agenda. Diego Garcia is, just like Curaçao, one of the 25 Overseas Countries and Territories (OCT). It belongs to the United Kingdom and is just a little bit smaller in size than Sint Maarten. Diego Garcia, once a paradise–like coral island, lies in the Indian Ocean midway between Africa and Asia. In the 60s many secret encounters took place between Britain and the U.S. and apparently hidden from Congress and Parliament, a deal was struck to make Diego Garcia a top-secret U.S. military base. All of the 2,000 inhabitants of Diego Garcia, the Chagossians, had to be deported as part of this deal. In response to the unwillingness of the inhabitants to leave voluntarily, the Chagossians were deprived of basic supplies and terrified into leaving. According to the Australian journalist, John Pilger, during the first half of 1971 all of the pet dogs on the island, about one thousand of them, were rounded up and gassed to death using exhaust fumes from U.S. military vehicles. The Chagossians threatened with the same faith, were shortly afterward forced to leave their homeland. They were put on the general cargo ship Nordvaer, given one mattress per family (no matter the number of family members) and allowed to take only one suite case per person. When they arrived in the Seychelles they were put in prison before taking off to their final destination, Mauritius, an island that lies 1,000 miles to the west of Diego Garcia. In files discovered by Mr. Pilgers, the Chagossians were described by a top Government Official in London as, “people with little aptitude for anything other than growing coconuts.” Is it me or does this sound all too familiar to some very dark periods we have known in our human history? Eerily so, it does. When these people arrived in Mauritius not surprisingly cases of suicide, abysmal poverty and prostitution abounded. In 1981 each evicted islander got U.S. $ 4,000 from the British Government. Today, Diego Garcia is seen in the eyes of the Pentagon as an ‘indispensable platform for policing the world’. It was pivotal in the wars in Afghanistan and Iraq and continues to be. On Diego Garcia there are about 2,000 American Troops, 30 ships, including nuclear-armed aircraft carriers ready to jump into action against whatever Washington D.C. might categorize as ‘evil in the world‘. The houses of the Chagossians, for a great part now overtaken by the jungle, still can be seen with lots of furniture and personal belongings of those forced into exile. In the year 2000 the British High Court ruled that the Chagossians were wrongly evicted. But four years later the government used the royal prerogative in the Queen’s name and nullified the decision. These totally reprehensible actions have not been reversed and Diego Garcia continues to be a secret U.S. military base, whilst the Chagossians are being denied to get their island back. In my 10 years as Minister and Member of Parliament, I have raised the issue of Diego Garcia with every U.S. or British ambassador I met including the current Prime Minister of the Netherlands. As if perfectly rehearsed, all of them told me that they knew nothing about the case, some of them even frowning incredulously as if they had never before heard about the existence of Diego Garcia. But all of them told me that they “would inform me as soon as they heard something”. I guess they have yet to hear something. I was full of hope this year since the current lease of Diego Garcia to the U.S. was to come to an end. I was hopeful that the meeting announced in early 2016 between Prime Minister David Cameron and President Barack Obama would result in letting the Chagossians return to their homeland. No such luck however. Last month, November 2016, it was announced in London that the U.S., in a deal with Great Britain, will be allowed to continue to use Diego Garcia as a secret military base until the end of 2036. No protests anywhere. No ‘Je suis Diego Garcia campaign‘ on social media. No mention of these people in the Pope’s Christmas sermon. The Chargossians yearn to see their country again, but they can’t. They want to go back to their homes, beaches and loved ones who are buried there. Unfortunately for these inhabitants, their home, the island of Diego Garcia is on no one’s agenda. Wait, I have to correct myself. Diego Garcia was mentioned two years ago in connection with the conspiracy theory that somehow lost Malaysian Airlines Flight 370 may have landed there. Without any other decision, thousands of Chagossians will remain expelled from their land for at least another generation. Meanwhile, this tiny island will continue to provide the world with a secret military base, called Camp Justice, in the war against the bad guys in the world – while at the same time sheltering a long history of flagrant human rights committed by Britain and the U.S..